The National Weather Service has issued a Flood Watch for much of the IPR listening area, from 7 p.m. tonight (Wednesday) through 1 a.m. Friday. 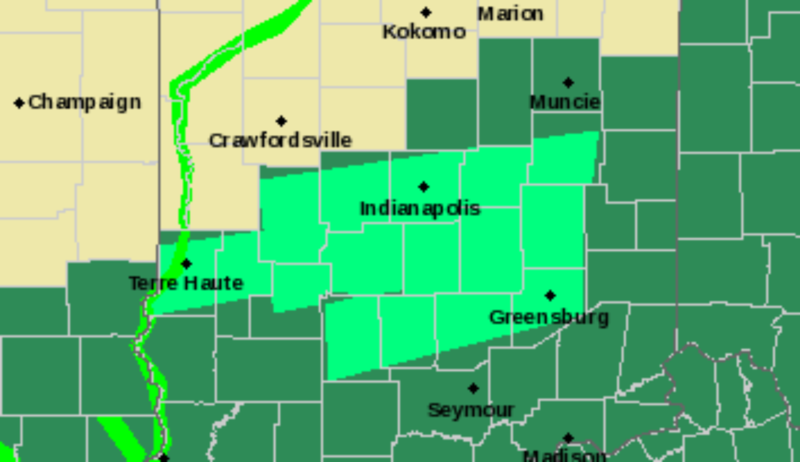 The Flood Watch is now in effect for these IPR counties: Delaware (Muncie), Madison (Anderson), Henry (New Castle), Randolph (Winchester), Fayette (Connersville), Union (Liberty) and Wayne (Richmond). Two to three inches of rain are expected through early Friday morning, with locally higher amounts. River Flooding will be likely. Standing water in fields and along some area roads will be possible. This may result in driving difficulties or road closures. Stay tuned to IPR for the latest weather information.